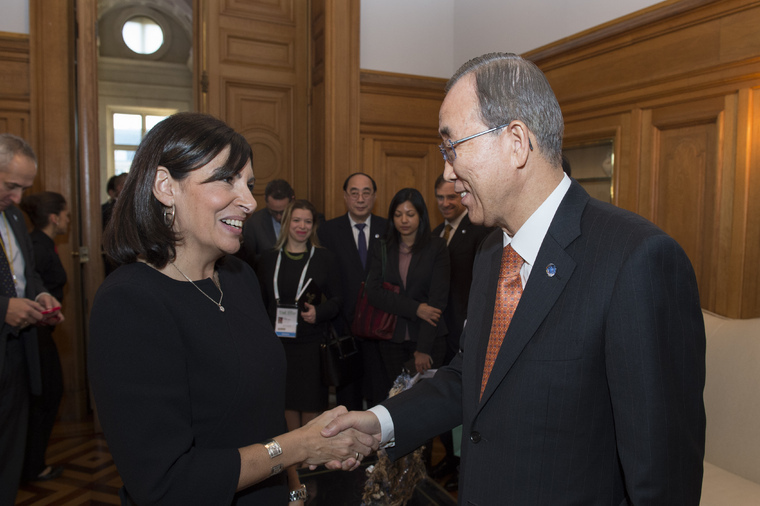 Anne Hidalgo, Mayor of the City of Paris and Michael R. Bloomberg, the UN Secretary-Generals Special Envoy for Cities and Climate Change, co-host the Climate Summit for Local Leaders on the margins of the UN climate change conference. 4 December 2015. 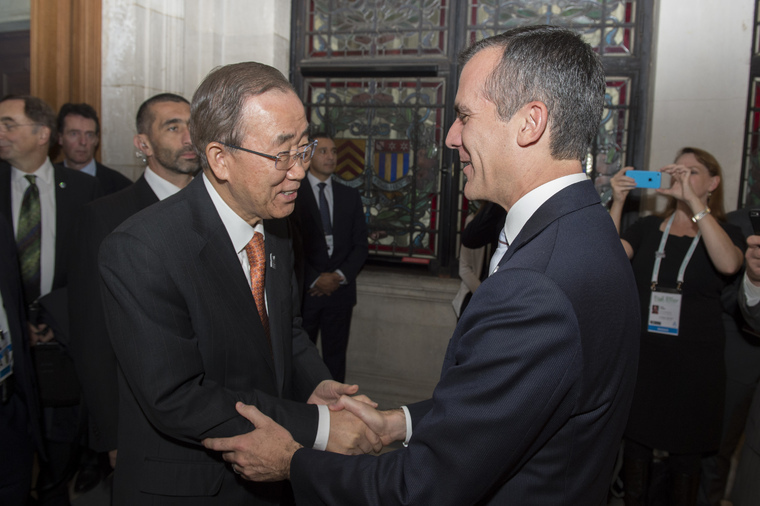 Proven innovative policies and mechanisms are unlocking investment for much-needed climate-smart infrastructure in cities, according to a new report launched today at Paris City Hall by United Nations Secretary-General Ban Ki-moon and international partners. 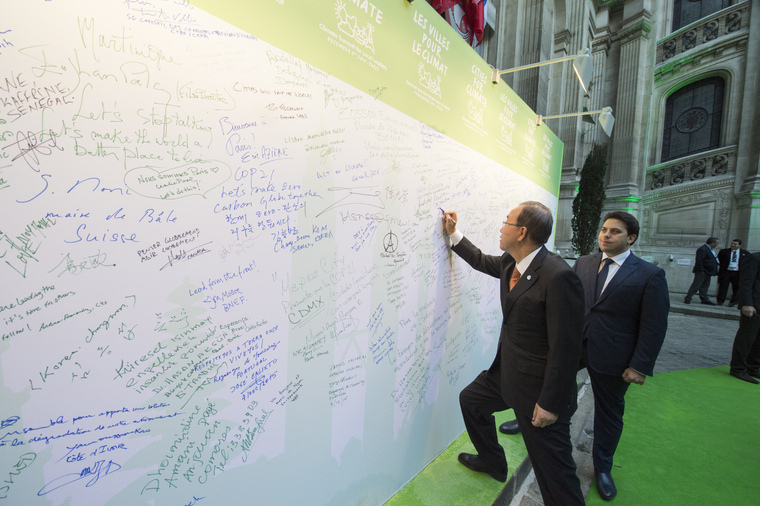 “Your efforts enable your citizens to reduce their carbon footprint, breathe cleaner air and live more healthy lives,” Mr. Ban told mayors and local leaders from all regions of the world during an event of the Climate Summit for Local Leaders, taking place on the margins of the UN climate change conference (COP21). 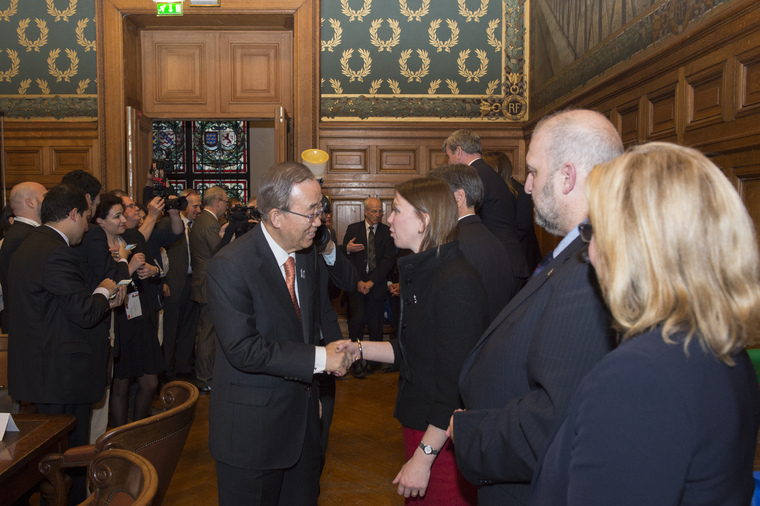 Celebrities attending the event included Leonardo DiCaprio, Robert Redford and Sean Penn, advocates for climate action who support UN efforts towards building a sustainable future. The report makes five recommendations for mobilizing investment in low-emission, climate-resilient urban infrastructure. It analyzes the obstacles that many cities face in obtaining the financing they need, including uncertainty over regulatory and tax policies, lack of expertise in project development, lack of control over infrastructure planning, high transaction costs and lack of proven funding models at the city and regional level. According to the UN, urban areas account for over 70 per cent of energy-related CO2 emissions, and the world’s cities produce almost half of all global greenhouse gas emissions. Cities are also on the front lines of climate impacts and urgently need to build resilience, with more than 80 per cent of the overall annual global costs of adaption to climate change estimated to be borne by urban areas, according to the World Bank. “There is no way that we get to two degrees or to 1.5 degrees without building and living in, and transporting ourselves around cities in a very different way than we do today,” Rachel Kyte, the World Bank Group’s Special Envoy for Climate Change, told the UN News Centre in an interview. “At the same time cities are growing. In the next 30 years another two billion people will move into cities, and so we have to find a way to help cities get the financing necessary to become livable, green, clean, competitive, job-rich cities,” she added. 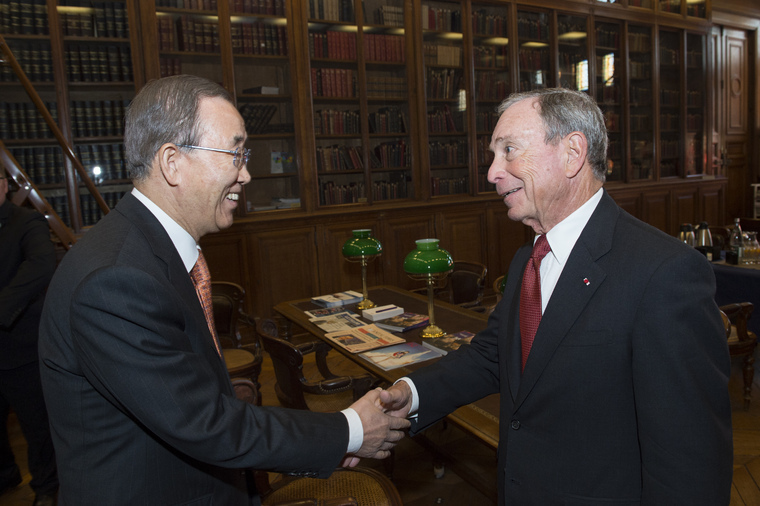 The study, which led to the report, was issued by the Cities Climate Finance Leadership Alliance, a coalition of over 40 banks, governments and civil society organizations launched by Mr. Ban at the Climate Summit he convened in September 2014 in New York. The aim of the Alliance is to accelerate investment in low-emission, climate resilient infrastructure in cities, and to close the investment gap in urban areas over the next fifteen years. Alliance members are now reportedly working on a plan to help translate the report recommendations into action. 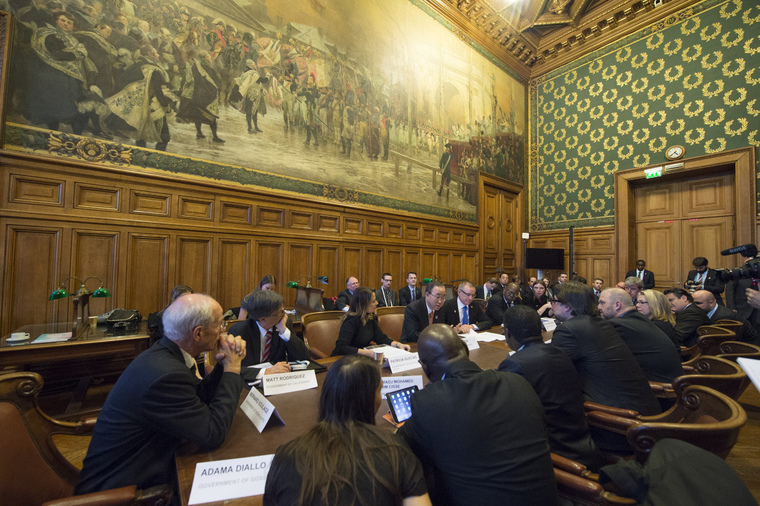 Mr. Ban noted that “it could be a game changer” and described this commitment as one of the most ambitious ones made to date from states and provinces worldwide. 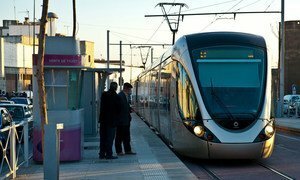 Recognizing that transportation has the highest growth in carbon dioxide (CO2) emissions of any industrial sector, transport representatives at the United Nations climate change conference (COP21) presented 10 initiatives today that aim to reduce these emissions and build more sustainable transport systems.